Forefront Estates, owner of the Mechanics’ Institution, has submitted a defence against legal action from Swindon Borough Council who are seeking to recover funds spent (£393,271.16, plus interest due). These legal proceedings are in relation to the work to the North end theatre roof undertaken by the Council under the Dangerous Works provisions in the Building Act 1984. These works and the subsequent legal proceedings do not concern the Urgent Works also undertaken by the Council under Section 54 of the Planning (Listed Buildings and Conservation Areas) Act 1990. The case has been set for 4 days from the 16th January 2012 at the Technology and Construction Court of the High Court. Forefront Estates are disputing, among other issues, that the Council did not give the owner the opportunity to execute these works themselves and they dismiss that the works undertaken by the Council were necessary and therefore the costs reasonably incurred. The Trust supports the Council recovering funds from the owner however we believe that the Council should have intervened earlier, at any point since the original Urgent Works Survey in 2002. This would have meant that the state of the building would have been significantly better than it was found recently and would have cost much less money. The owner is responsible for the repair, safety and security of the building but it is the Council’s duty to ensure that the owner complies. In both cases the Trust believes fault has occurred over a long period of time. The First Night Riders is a charity motorcycle ride. 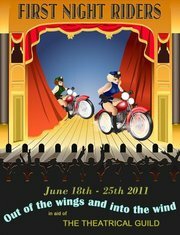 The 2nd motorbike trip around the UK is the 18th – 25th June 2011 to raise money for The Theatrical Guild. 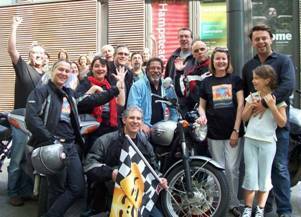 This year riders will undertake a round Britain tour of more new, interesting and historically significant theatres, starting and finishing in London. 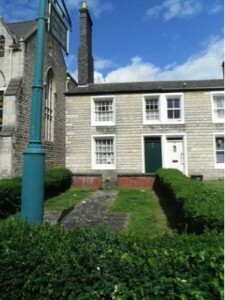 The tour will make a stop at Swindon’s Mechanics’ Institution on the 24th June, approximately 1:00pm. Please feel free to join the Trust in welcoming the riders to Swindon. More information on the campaign can be found at: http://www.firstnightride.com and on Facebook. The Theatrical Guild (TTG) exists for the purposes of helping all those in need, who’ve been or are currently employed, in professional theatre. It is the only charity in the UK available to Front of House and Backstage staff. TTG makes no distinction between the nature of beneficiaries’ employment – backstage and on-stage, front of house, technical, catering, sales and administration or management. If they’ve worked in the theatre and they’re facing hardship or need support then The Theatrical Guild can help. The first bill from Swindon Borough Council to Forefront Estates for undertaking Urgent Works at the Mechanics’ Institution has so far been unpaid. Approximately £400,000 in work undertaken by the Council has been invoiced to the owner but the Trust believes the final bill could be significantly higher once the Urgent Works are finished. Trust Chair Daniel Rose said “The Trust welcomes Swindon Borough Council undertaking this Urgent Work but feel strongly that the Council should of acted much earlier, in particular back in 2002 when the original Urgent Works Notice was drawn up but never served. What is important now however is that the Council enter into constructive dialogue with the Trust to resolve this situation to a positive conclusion’. The full story was covered by BBC Points West. Swindon’s Mechanics’ Institution Trust is today officially launching its new brand and website. The re-branding, marketing and print is being supported by local company Citrus Creative and the website by Oikos following a 6 month process of development and consultation with Trust members. The Trust will now simply be known as The Mechanics’ Institution Trust, a much shorter and simpler name than used previously. We hope you like the new site. Keep a watch for more developments over the coming months as we continue to launch new features and content. A visit to the Victoria Baths in Manchester this week was a very insightful experience and highlighted many similarities between them and the Mechanics’s Trust. Following the Baths winning BBC Restoration in 2003 the Trust has been working tirelessly to complete the restoration and open the building to the public again. Whilst the swimming baths are not yet open the building hosts many tours, events and projects with volunteer groups. More information can be found here. During the visit more than 100 photos were taken of this amazing building and its historic features, a small selection is below. Daniel Rose Chair of The Mechanics’ Institution Trust was invited to attend an open day at the Tetbury Goods Shed on Saturday 16th October. The Tetbury Rail Lands Regeneration Trust have plans to restore the last remaining example of railway heritage in the town for community use. The Mechanics’ Institution Trust has proposed that local heritage trusts should forge closer links regarding GWR heritage in the region, especially given the opportunities for a potential world heritage site from Bristol Temple Meads to London Paddington, including Swindon’s railway village. Further information on the Tetbury Goods Shed is available here. The Trust took its thoughts on the Big Society direct to politicians through the publication Government Gazette, distributed and sold to those across the political environment. This well timed article is currently in the party conference editions alongside an article by English Heritage Chair Baroness Kay Andrews.